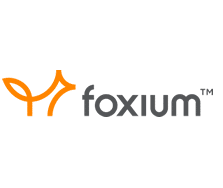 Founded in 2015, Foxium is making quite a name for themselves in the online gaming industry as they are a provider of quality slots – they focus on storytelling and create compelling themes and offer captivating narratives as well as using high definition graphics and innovative game mechanics. You will certainly be able to identify a Foxium-powered slot once you play them. Their mission is to provide games that outfox the ordinary and they definitely deliver this. Located in Tallinn, Estonia, you will find their slots at all the top online casinos including LeoVegas, Casumo, Mr Green and Videoslots (amongst many others). They deliver a new slot every quarter (every 3 months) but this will soon increase as their popularity rises.